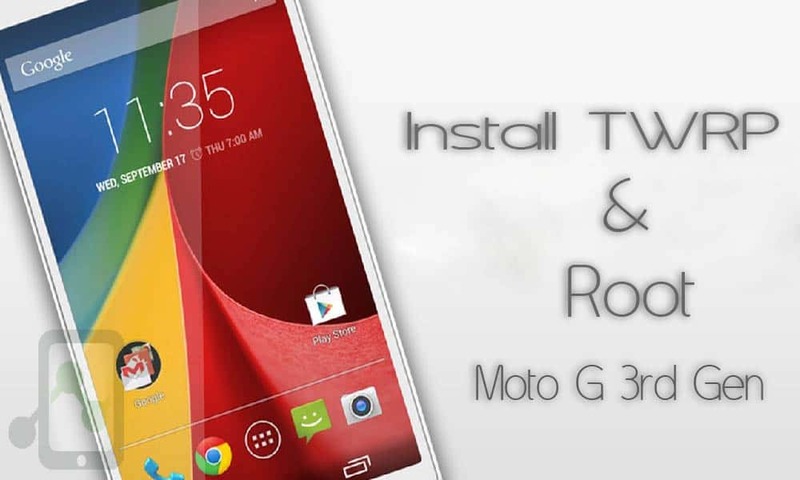 Today, we’ll learn the most simplest and safest method to Install TWRP & Root Motorola Moto G 3rd Gen 2015. Minimal fastboot and install it on desktop. Step 2. After unlocking Bootloader of Moto G 3rd gen ,Copy SuperSu.zip in you Device memory that you downloaded from the above link. Step 3. Now, turn off your device. Again turn on your device by holding (Volume down button and power button) at the same time for 6 sec and release it you will again see the bootloader. Step 4. Now connect your device to your PC. Then copy twrp-osprey-2.8.7-test1.img that you Downloaded above and paste it in the mfastboot folder. Step 5. Now navigate to mfastboot folder where you installed earlier. Hold the shift key and right click on the mouse the in any blank area in that folder you will see “Open command window here” click on that. Step 7. 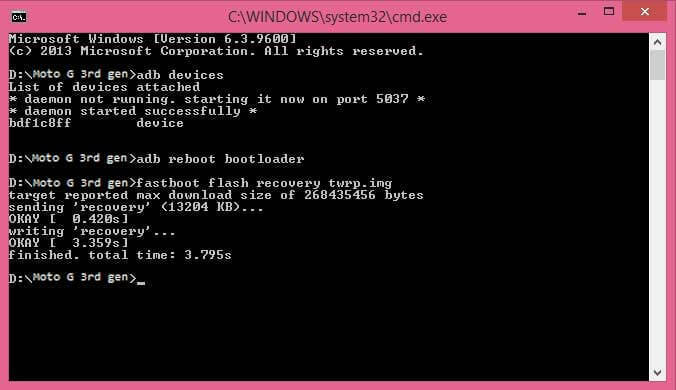 You have successfully flashed TWRP Recovery in your Moto G 3rd Gen 2015. 1. 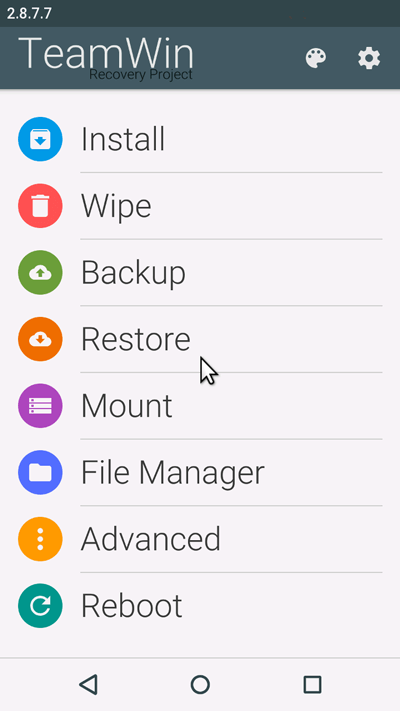 Open TWRP Recovery, Select Install from sdcard Option using volume down button to navigate and power button to select it. 2. Select install zip from SDcard then select 0 (0 is the location of internal storage ) and now select supersu.zip and flash it by pressing Yes option using power button. 5. Congratulations You have successfully rooted you Moto G 3rd gen (2015).